It’s been a while since I’ve posted anything and in the meantime, Christmas has been getting closer. Hopefully, you have gotten your Christmas shopping done (Check out my Origami Christmas Gift Suggestions here)! It’s exactly seven days to go until The Big Day, so it’s probably time to post something festive – the traditional origami Christmas Tree! Note: This post contains affiliate links, please see disclosure below for more information. I love this quick fold Christmas Tree. It is a simple, traditional design that’s easy for anyone to make, including children. In addition, it would make a good activity to entertain the kids for a few minutes after Christmas Dinner! Any paper will do. I’ve used ordinary kami or origami paper for this one. My favourite origami paper is made by Folded Square. A lot of origami paper is pretty terrible quality and the colour is painted on and comes off easily. The Folded Square paper has slightly higher quality feel to it than a lot of origami paper. Plus, I’ve found it retains it’s colour a little better. Check prices and availability here. The paper doesn’t have to be coloured on both sides, but as you can see in the picture, a different colour on the back gives a nice effect with the colour of the tree trunk. A 15cm (6in) square will create a tree that is about 13cm (5.1in) tall and 9cm (3.5in) wide. As can probably guess from comparing the size of the model to the original sheet of paper, there aren’t a lot of folds in this one! You can fold this origami Christmas tree in about 5 minutes. I have made a video tutorial to show how you can fold this easy Origami Christmas tree step by step. For other origami tutorial videos I’ve made, please take a look at my Origami Expressions YouTube channel. Good luck folding it, and Merry Christmas! 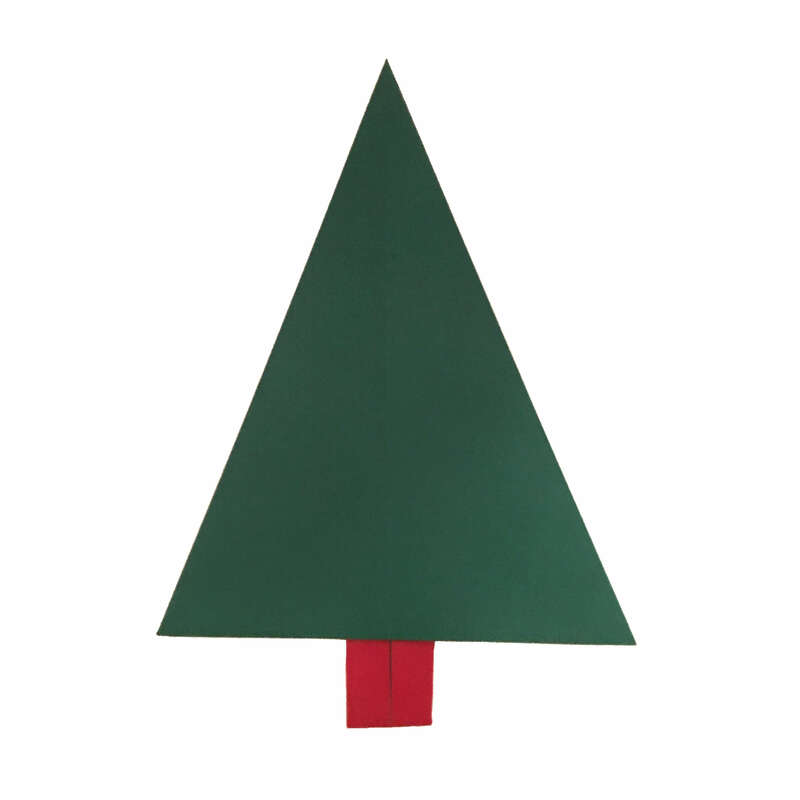 I’d love to hear your views on this easy traditional Origami Christmas tree model. Also, you may want to try to fold some Origami Baubles or an Origami Santa. Feel free to let me know what you think in the comments below, or you find can me on Instagram or Twitter. Check out my Pinterest boards too!